This one divides the room, leaving me on the side that was waiting for the frenetic more is less dynamism to finally exhaust itself and allow me to leave the cinema. There was a hero’s journey in here somewhere, with all its trappings evident, but the Tintin character kept getting in the way, looking strangely like the head of Jude Law grafted onto the body of a 12 year old boy then inflated with a bicycle pump till it began to resemble a balloon. 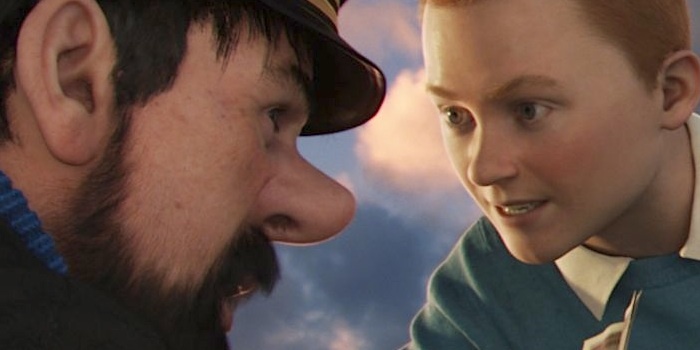 My guess is that this was really the story of the far more lifelike Captain Haddock, but instead we focus on the uncanny boy-man that follows Haddock to the ends of the earth for no compelling reason except perhaps to file a news report about what turns out to be some secret treasure. I guess in the end that wouldn’t have been wise. Just as well it’s forgotten about by the end.